Communicator Guy here. 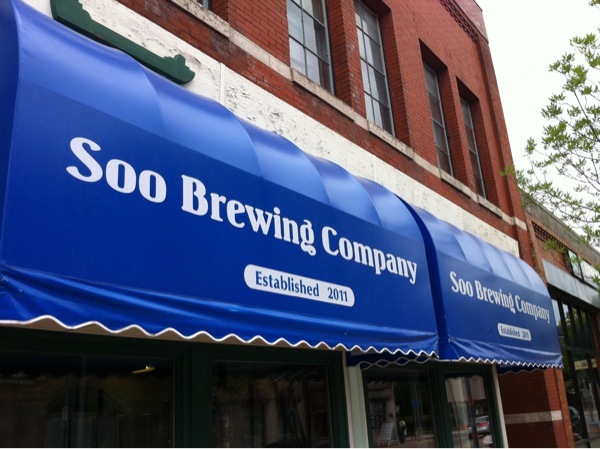 Visiting my folks this week waaaaaay up here in the Upper Peninsula of Michigan, and was very pleasantly surprised to find Soo Brewing Company, brand new as of late March 2011, gracing a previously unoccupied space on the main drag of Sault Ste. Marie MI. True Dat. Fresh Beer is the Best Beer. Ray Bauer's longtime dream of opening a brewery presented itself a few years ago, and in 2010 he took his experience as an avid homebrewer and began jumping through the legal hoops required to open his own brewery. On today's visit he had 4 fresh beers on, the Soo Brew, a lovely Hefeweitzen, a citrusy IPA and a wonderfully roasty stout. And in his fermentors are 3 different recipes that will be fresh soon. And the community is responding - his very first week, he sold out of beer! Brewmaster and Owner, Ray Bauer. The Communicator Guy, and The Dad of Communicator Guy. Cheers! Craft beer, folks- it's regenerating communities, providing jobs, and changing how people feel about what "quality beer" is. And chances are, it's right under your nose! 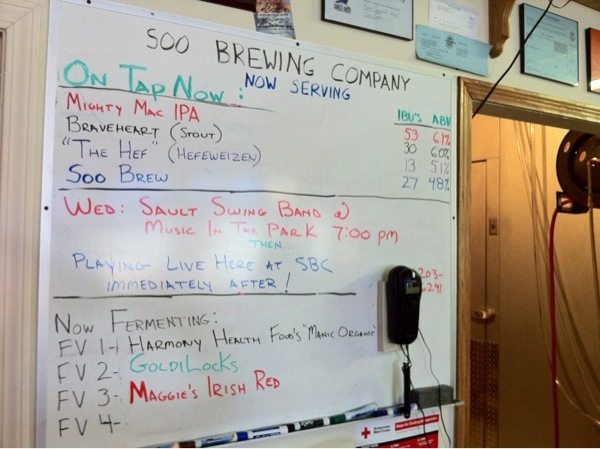 Now get to Soo Brewing and try Ray's beer. It's worth it. See you next time!